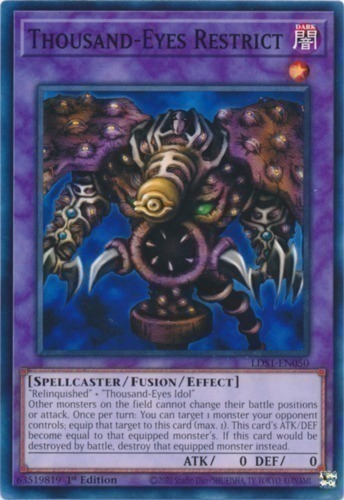 Text "Relinquished" + "Thousand-Eyes Idol"
Other monsters on the field cannot change their battle positions or attack. Once per turn: You can target 1 monster your opponent controls; equip that target to this card (max. 1). This card's ATK/DEF become equal to that equipped monster's. If this card would be destroyed by battle, destroy that equipped monster instead.